Social Media is not just a way to waste time; it is a way that the world communicates, a way people interact, a way business is conducted. If you aren’t leveraging the power of social media to attract clients and enhance your presence and reputation, then your message is reaching only a fraction of those it could. 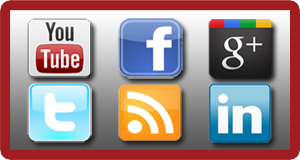 Our social media consultants work with you and your marketing professionals to establish pages, accounts and profiles. We link these to your website, and to each other. If you prefer to manage updates and posts internally, we can hand it off to your office; if you prefer that we manage updates and posts, our experienced consultants will regularly provide relevant and timely content to your channels. We focus on, but are not limited to, the most widely recognized and utilized social media channels: Facebook, YouTube, Twitter, LinkedIn, Google+ and RSS.